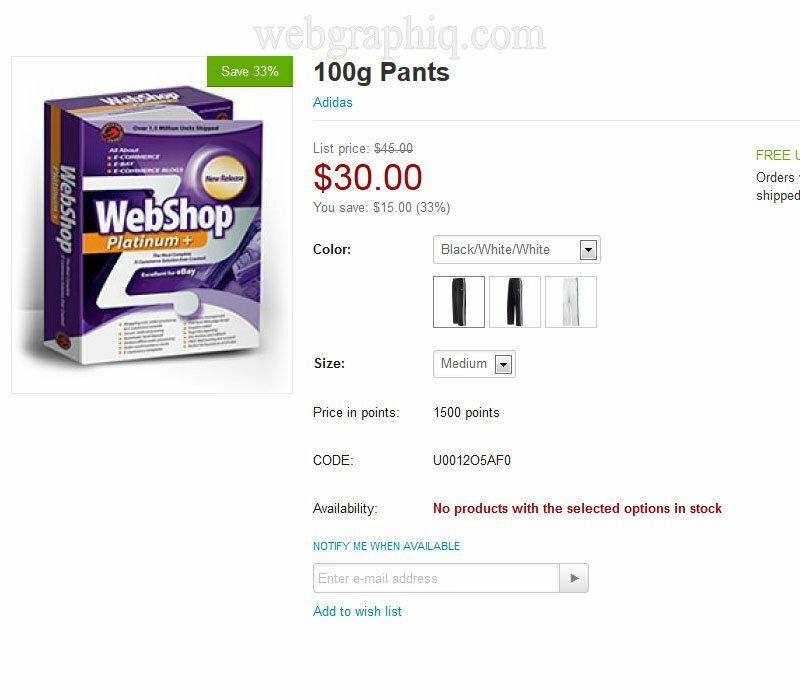 A customer is browsing your store and comes across a product that want, but it appears to be out of stock. If the Product Quantity is "0" the button "Notify me when available" will be displayed on the Product details page (and optionally on the Product categories list, Search results pages - you have the ability to enable or disable on the admin panel) and the Add to cart button will be hidden. If the customer clicks on the "Notify me when available" button a drop down form will appear where the email address can be entered and the subscription request can be sent. 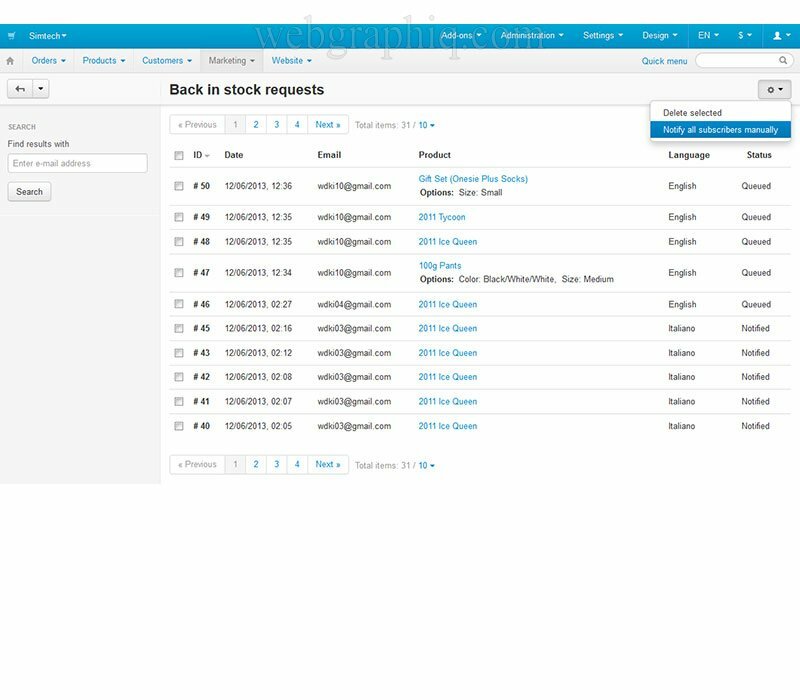 If the customer is logged the email field will be completed automatically. 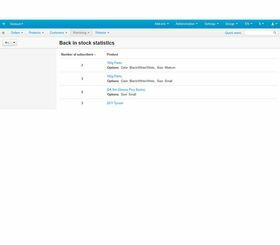 The store administrators can track the requests under Back in stock requests. 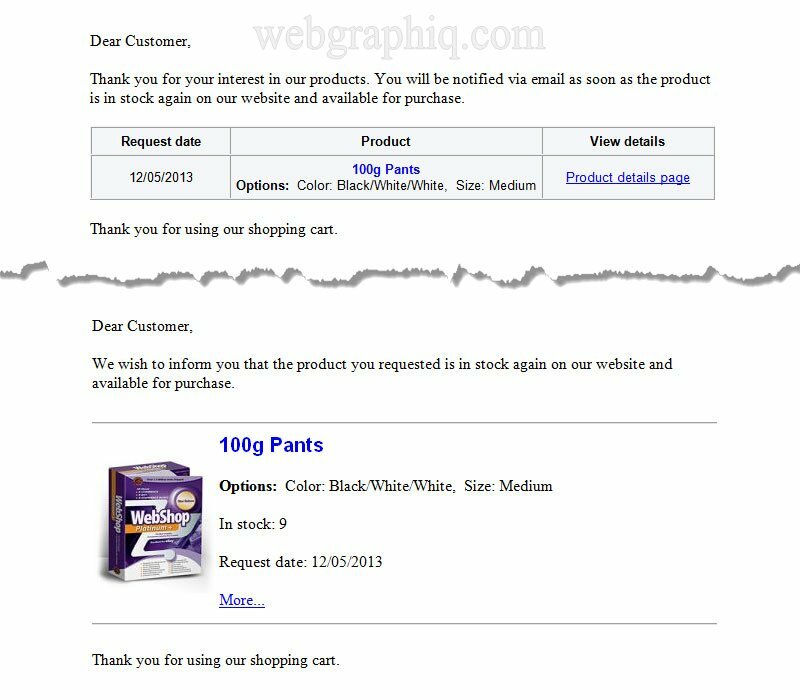 The page will show the request ID, the request date, customers email, requested product (linked to the product page) and status to whether a stock update notification has been sent to the customer or not. 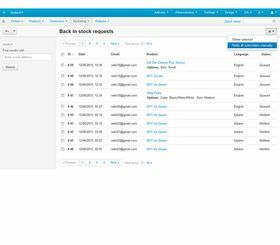 Administrators also can delete individual or all requests. 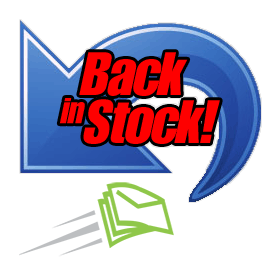 Once the product quantity is updated an email will be sent automatically to the customers informing that the product is back in stock again and available for purchase. 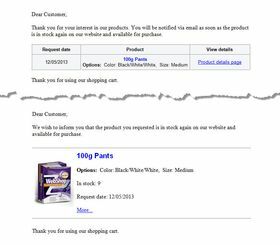 The email includes the request date, the product title and link to the product page. Works if the product has variants and Track with options enabled! Click here to see live demo for products with variants. Click here to see live demo for category listing. Discouraged by the abandoned carts on your ecommerce site? Shopping cart abandonment remains a major ecommerce concern. To help manage this problem, here are tips to help significantly lower shopping cart abandonment. 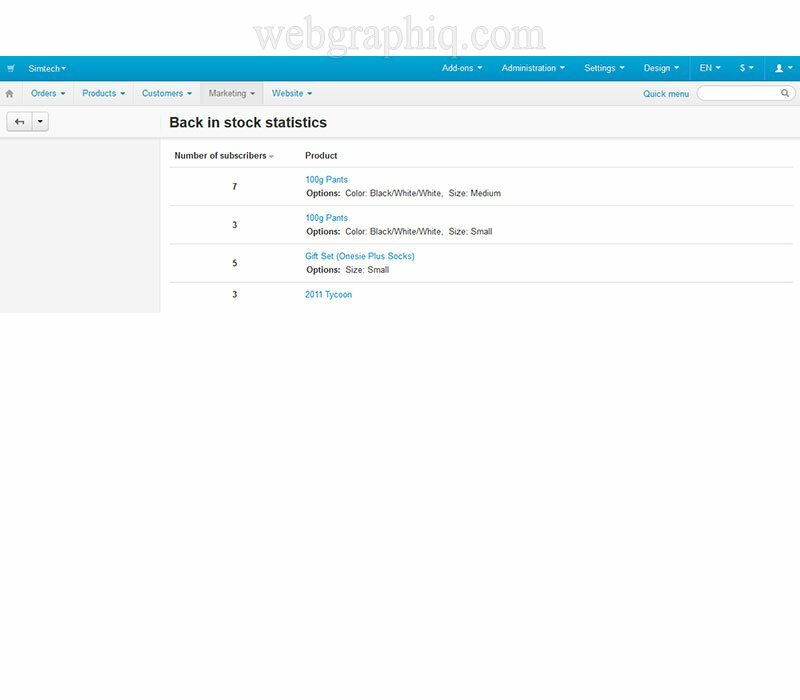 I have bought serveral extensions from Webgraphiq and their support is great! The extensions work as described! When there is a problem they are helping you out and their response time is very good! I can recommend Webgraphiq to everyone!